To ask Sarah Osborne questions, please sign up. Hi Sarah. I just loved Too Many Cooks Spoil the Plot. I know you wrote under a pen name. I would love to read any books that you have written under any other name. Also, when is the next Dittie Brown Mystery coming out? We’d love your help. Let us know what’s wrong with this preview of Leopard at the Door by Jennifer McVeigh. We’d love your help. 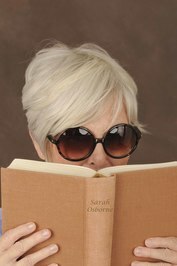 Let us know what’s wrong with this preview of Too Many Crooks Spoil the Plot by Sarah Osborne.